Bhimsen Joshi – Indian singer. One of India’s most admired singers of traditional Hindustani ragas (melodic frameworks for vocal improvisation), most notably of the khayal (a two-part poetic song) and the bhajan (a Hindi devotional hymn, or chant), Bhimsen Joshi was born in a Deshastha Madhwa Brahmin family in a town called Ron, Karnataka, in the Gadag district of present-day Karnataka state on 4 February 1922 to Gururaj Joshi (who had authored a Kannada-English dictionary) and Ramabai, a home-maker. He is known for the khayal form of singing, as well as for his popular renditions of devotional music (bhajans and abhangs). His ‘bhajans’, which were usually sung in Kannada, Hindi and Marathi languages, are widely recognized and appreciated not just by ardent music lovers but also by devotees all over the country. Bhimsen is one of the truly matchless male vocalists of Hindustani music: his performances are always a source of joy. From early in his life he was driven by music, a drive which led him to leave home quite young. After many adventures, he settled down studying with Sawai Gandharva of the Kirana Gharana and one of the foremost students of Abdul Karim Khan. Bhimsen Joshi has a rich and resonant voice which, while utterly classical in tone, has a warm, lived-in quality. A classicist by training and profession, he has known the world over for his ‘Khayal’ form of singing. What made him distinctive from his contemporaries was his ability to balance between the traditional music and mass-culture taste. This probably best explains his success as a Hindustani vocalist in terms of largest commercially recorded repertoire. Blessed with fine musical sensibilities and brilliant hold of fundamentals, his powerful voice, amazing breath control, rhythmic stance, and intelligent fusion of passion and creativity has marvelled all who have heard him play. He was a purist by heart and did not experiment much with his music which was marked by spontaneity, accuracy and unbelievably fast-paced taans. However, he enriched the ‘Kiraana Gharana’ by adapting characteristics from other gharanas and adding his own distinctive taste to it. A Bharat Ratna awardee, Pandit Bhimsen Joshi was also conferred with numerous other prestigious and coveted l awards. This versatile singer has also recorded Kannada Dasa Krithis in Dasavani, the likes which are usually sung by Carnatic musicians. His most memorable performance that is recalled by his fans even today is the song ‘Mile Sur Mera Tumhara’. His golden voice which appealed the Indians to be united and stand as one nation is an evergreen number that is hummed even today by one and all. Bhimsen Joshi, by name of Pandit Bhimsen Gururaj Joshi, was born on February 4, 1922, in the Dharwad district of Karnataka, in a Kannada Madhwa Brahmin family, to Gururaj Joshi and Godavaribai in India. He was the eldest of the 16 children born to the couple. He lost his mother at a young age and was raised by his stepmother. As a child, Bhimsen was fascinated with music and musical instruments like the harmonium and tanpura and would often follow processions accompanied by music bands. The recording of Abdul Karim Khan’s Thumri ‘Piya Bin Nahi Aavat Chain’ served as a turning point in the life of this budding artist who, upon hearing the classic piece, resolved to become a musician. This exercise often tired him and he would curl up somewhere and sleep, forcing his parents to go to the police after efforts to trace him failed. Fed up, his father Gururajacharya Joshi came up with the solution, writing “son of teacher Joshi” on Bhimsen’s shirts. This worked and those who found the boy sleeping would safely deposit him back to his house. Upon returning, Bhimsen attained his musical training under Pandit Sawai Gandharva for four years from 1936 to 1940. Gandharva trained him in Hindustani Classical music, teaching him the nuances of the ragas that formed the base of the Kirana Gharana. He stayed at the latter’s house maintaining a guru-shishya tradition of gaining knowledge and in return, performing odd-jobs. 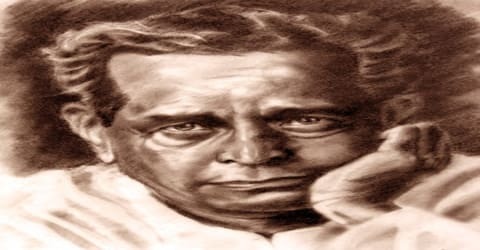 Bhimsen Joshi married twice in his lifetime. His first wife was Sunanda Katti, the daughter of his maternal uncle, whom he married in 1944. He had four children from Sunanda; Raghavendra, Usha, Sumangala, and Anand. In 1951, Bhimsen married Vatsala Mudholkar, his co-actor in the Kannada play Bhagya-Shree. Bigamous marriages among Hindus where prohibited by law in the Bombay Presidency; so he took up residency in Nagpur (capital of Central Province and Berar in 1951) where bigamy was allowed and married there for the second time. He did not divorce or separate from Sunanda. With Vatsala, he had three children; Jayant, Shubhada, and Shrinivas Joshi. Though both his families lived together for some time, it was later that his first wife along with her children moved out to live in a rented space in Limayewadi in Sadashiv Peth, Pune. 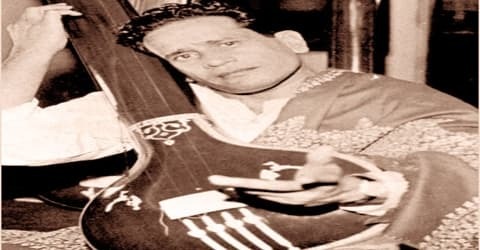 At the age of eleven, Bhimsen Joshi decided to grow up into a musician after listening to performances from the likes of Abdul Karim Khan and Sawai Gandharva. He then left his home with the sole aim of becoming a vocalist. It is said that his first destination was Pune and that he got there with the help of a few fellow passengers in the train. From Pune, the tracks laid by his destiny led him to Gwalior where he met the famous sarod player Hafiz Ali Khan. Helped by the instrumentalist, Bhimsen got himself enrolled into Madhava Music School. Finally, his days of adventure in the northern part of India came to an end when his father zeroed in on him in Jalandar. He was then brought back to his hometown. Though the adventure of an aspiring musician had come to an end, it was, however, the beginning of something extraordinary. His first music teacher was Channappa of Kurtakoti, who had trained with the veteran singer Inayat Khan. After learning Ragas Bhairav and Bhimpalasi, the one and only unique vigorous style of rendering he developed along with advanced training by other teachers are attributed to the basic training he received from Channappa. Bhimsen Joshi next went to Pandit Shyamacharya Joshi, who hailed from Bagalkot and was a priest and classical singer. Pandit Shyamacharya taught him to sing as well as play the harmonium. Shree Shamacharya Joshi was a descendant of Great Haridasa Shree Mahipati Dasaru. 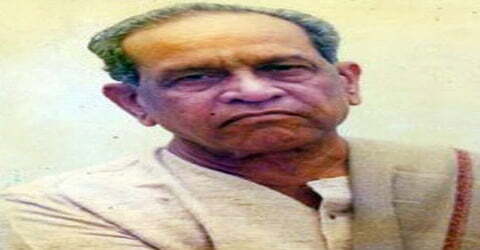 As revealed by Shree Shyamacharya Joshi himself when he was alive, it was a turning point in Bhimsen Joshi’s life that Shree Shyamacharya Joshi went to Bombay for recording his songs by HMV where Shree Bhimsen Joshi also accompanied him and due to ill health Shree Shyamacharya Joshi returned to Bagalkot after recording few songs and asked Shree Bhimsen Joshi to render rest of the songs which Shree Bhimsen Joshi did and this proved to be a major breakthrough for Shree Bhimsen Joshi in the initial stage of his career. His career commenced in 1941 when Bhimsen gave his first live performance. The following year, he released his first album under HMV, which was primarily a collection of devotional songs in Hindi and Kannada. His debut album, containing a few devotional songs in Marathi and Hindi, was released by HMV the next year in 1942. Later Joshi moved to Mumbai in 1943 and worked as a radio artist. His performance at a concert in 1946 to celebrate his guru Sawai Gandharva’s 60th birthday won him accolades both from the audience and his guru. Since then, there was no looking back for this blessed musician who performed at various venues, concerts, and shows. 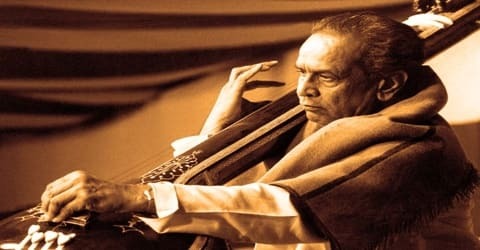 He released numerous albums under HMV records, each of which displayed his distinctive style in Hindustani Classical Music and brought forth his spontaneity, accuracy, and mastery over rhythm. In 1984, he became the first Hindustani vocalist to win a platinum disc. Bhimsen’s Hindustani classical music had a unique style as it was influenced by a number of greats including Begum Akhtar, Smt. Kesarbai Kerkar and Ustad Amir Khan. Though he mainly stuck onto Kirana gharana for the most part of his career, he also incorporated various styles and gharanas from each of his inspirations. Apart from a classical singer, Bhimsen Joshi was also patriotic and a devotional singer. A purist by belief, Bhimsen hardly ever moved from the traditional compositions of the Kirana Gharana, occasionally employing Sargam and tihaais. Though he tended to favor a lot of complex and serious ragas, he remained loyal to Shuddha Kalyan, Miyan Ki Todi, Puriya Dhanashri, Multani, Bhimpalasi, Darbari, and Ramkali ragas which he employed fervently in his compositions. In his life, he came up with devotional music in various languages including Hindi, Kannada, and Marathi, all of which were extremely loved by the audience who waited with bated breath for the release of his upcoming album. In devotional music, Joshi was most acclaimed for his Hindi and Marathi Bhajan singing. He has recorded bhakti songs in Marathi, Santavani, Dasavani. Pt. 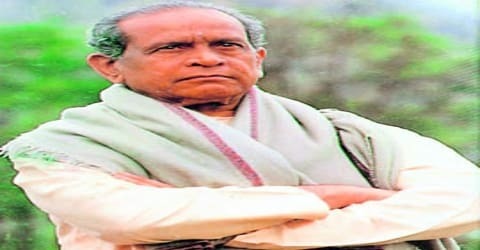 Bhimsen Joshi was widely recognized in India due to his performance in the Mile Sur Mera Tumhara music video (1988), which begins with him. The video was created for the purpose of national integration in India and highlights the diversity of Indian culture. Pt. Bhimsen Joshi was also a part of Jana Gana Mana produced by A. R. Rahman on the occasion of the 50th year of Indian Republic. 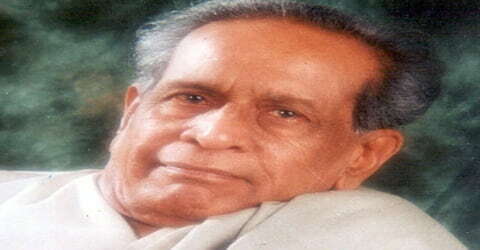 Bhimsen Joshi served as a playback singer in many movies including ‘Basant Bahar’ and ‘Birbal My Brother’. In 1964, he recorded the song ‘Ramya Hi Swargahun Lanka’ along with Manna Dey for the Marathi movie ‘Swayamvarzale Siteche’. He even worked with singers like M. Balamuralikrishna and Pandit Jasraj while recording for Kannada movies. ‘Bhagyadalakshmi Baaramma’, a song originally composed by Purandara Dasa and sung by Bhimsen Joshi, was used in the Kannada film ‘Nodi Swami NaavuIrodhu Heege’. To commemorate the first death anniversary of his Guru Sawai Gandharva, he, along with his friend, organized the Sawai Gandharva Music Festival in 1953. Ever since then, the festival has taken the form of an annual cultural event and is celebrated in the second weekend of December in Pune, Maharashtra every year. The festival is very popular among the lovers of Hindustani Classical Music. He personally conducted the festival annually from 1953 until 2002. Throughout his life, Bhimsen Joshi was conferred with numerous prestigious and highly esteemed awards, the most prolific amongst them being the national awards such as, ‘Padma Shree’, ‘Padma Bhushan’, ‘Padma Vibhushan’ and ‘Bharat Ratna’ in 1972, 1975, 1999 and 2009 respectively. In 1976, Bhimsen was presented with the Sangeet Natak Akademi Award. In 1985, for his contribution as a playback singer, he received the National Film Award in the category of Best Playback Male Singer. Bhimsen bagged the national award for his rendition in the 1985 movie ‘Ankahee’ – National Film Award for Best Male Playback Singer. In 2000, Bhimsen received the Aditya Vikram Birla Kalashikhar Puruskar. Two years later, he received the Maharashtra Bhushan and the following year was felicitated by the Government of Kerala with Swathi Sangeetha Puruskaram. The most prestigious award, “Maharashtra Bhushan” given away by the Maharashtra government is Maharashtra Bhushan. It was awarded to him in the year 2002. The award consist of Rs.10 lakh prize money, a memento, and citation. In 2005, Karnataka Ratna was presented to him. This is the highest civilian award given by the state of Karnataka. In 2008, Bhimsen bagged the Swami Haridas Award. In 2009, the government of Delhi honored him with a lifetime achievement award. Months before his death, he was presented with the S V Narayanaswamy Rao National Award by Rama Sewa Mandali of Bangalore in 2010. 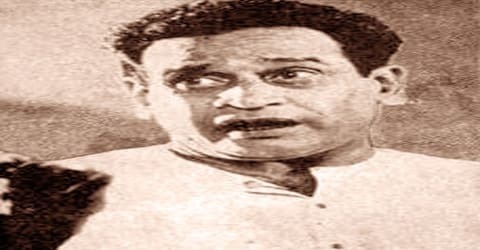 On December 31, 2010, Bhimsen Joshi was admitted to Sahyadri Super Speciality Hospital with the reported problem of gastrointestinal bleeding and bilateral pneumonia. Since breathing became problematic, he was put on the ventilator but suffered from convulsions and was put on dialysis. 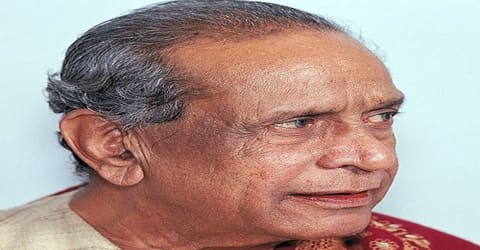 Bhimsen Joshi died on 24 January 2011. He was cremated at Vaikunth Crematorium in Pune with full state honors. His death was mourned by the music fraternity of the world who grieved at the loss. Endowed with a powerful voice and fine musical sensibility, Pandit Bhimsen Joshi was a legendary artist whose take on music is hard to emulate for anyone including his own son and music disciples. His finely nuanced improvisations, passionate onstage physicality, and soaring vocal dexterity, especially in the khayals’ faster passages, won him fans from all castes and all parts of the country. His legacy survives in the form of the annual Sawai Gandharva Festival, held in Pune every year which he initiated in 1953 and continued to administer until his retirement in 2002. The festival has become an institution of sorts for the people of the music fraternity and features the ablest and proficient Hindustani classical music singers.